If you haven't seen +Gary Pepper's collaboration with Lancome for the launch of this mascara, you won't understand the squeal of excitement that escaped my lips when I saw this product nestled somewhere inside the bag I received. 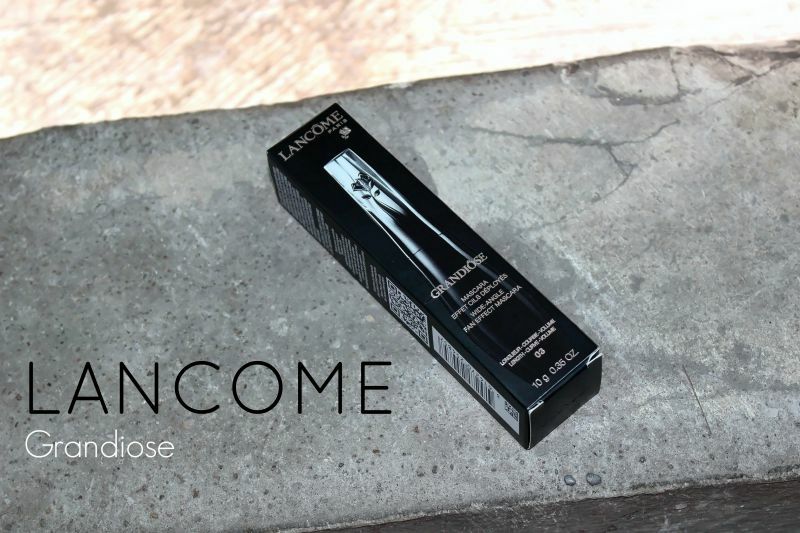 This is my very first Lancome mascara (after years of longing for Hypnose, I was certainly delighted to receive this. Thank the good Lord Lancome is in Nigeria now!) and with the Lancome mascara hype I had high hopes for it. I will admit that I read a lot of reviews about this simply because I didn't want to be disappointed in anyway when I tried it. What the brand says - This revolutionary, Swan Neck Wand Mascara provides exceptional length, lift, and volume to all lashes. This product is beautiful. I keep it on my dressing table instead of in my makeup purse just because it is too pretty to be amongst the rest of my makeup I tell you. I tried and tried to capture that Lancome rose so beautifully but it just didn't come out the way I wanted. I'm obsessed with that rose! Lashes have always been a thing for me. I've never quite been able to successfully wield falsies on myself so I've escaped with mascara. Usually, thickening mascaras are my favourite because of the fullness they create at the base of my lashes. Grandiose creates the right amount of fullness, length and curls my lashes too. The curved wand does need some getting used to but once you get the hang of it, it isn't too difficult. I love that the bristles are rubber and they really work to seperate the lashes really well and coat every single one of them. Make sure to wiggle your lashes during application and one coat of this mascara will be enough. I love intense black mascaras so to get this one in a gun metal-ish shade was a bit of a bummer but being an adventurous person when it comes to mascara shades, I was all for giving this a shot. Oh yes if you didn't know, as much as I love black, I love coloured mascaras more, lol. It looks like rose in a glass cage. Forgive the crudeness of this picture *covers face*, but I couldn't wait to try it with the rest of my makeup on. I wasn't disappointed. See how scattered my lashes are in the first picture? One coat of the Grandiose mascara curled them into submission without me needing to use a lash curler. A few wrong twists and turns of the swan neck wand resulted in a few smears but for a first time, I wielded it great I daresay. What do you think about the wand? Have you watched Gary Pepper's Black Swan video?